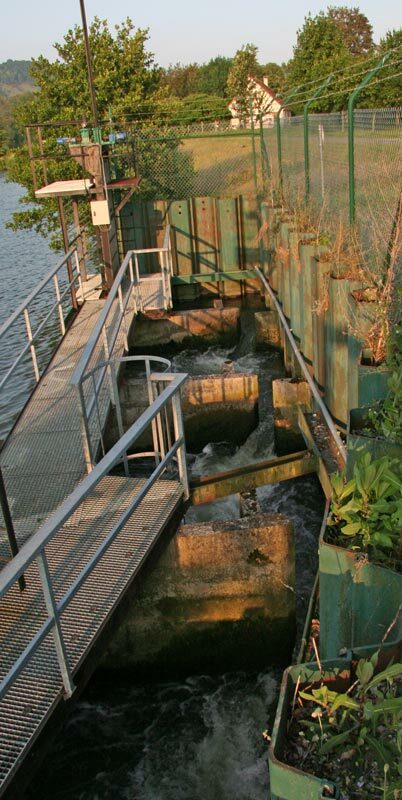 With low water falling early in the morning there was no good time to continue upstream in order to carry the flood time as far as the first lock. We opted for an afternoon cruise, which would give us less of an adverse flow. Jomima had to leave us at this point, having had news from home that meant they needed to return urgently, so pushed on ahead to get to Paris as soon as possible. Instead we were joined for today's passage by Robin & Fiona on Lianda, an ex-lifeboat from Poole harbour, who were on their way to the Med. The river was quiet with only the occasional passing barge, and other than watching out for the shallower areas there were few hazards on our four hour trip. 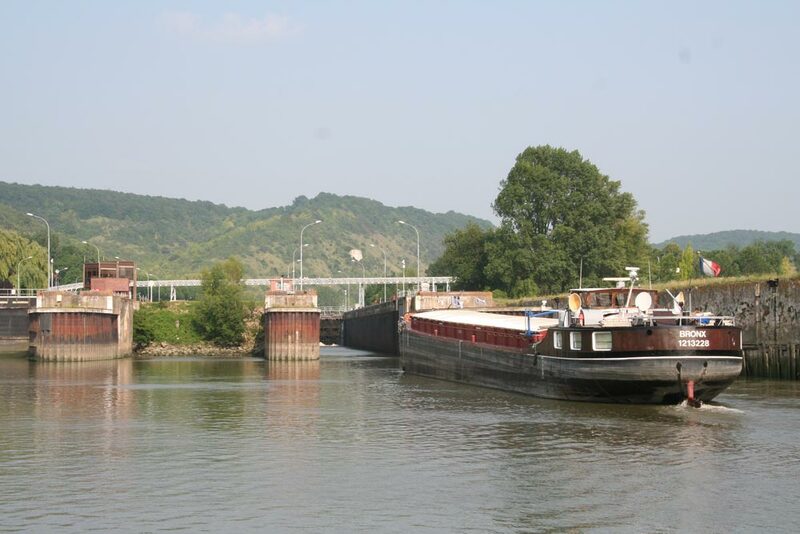 We arrived at Amfreville lock at 1800, allowing ourselves an hour to get through before their evening closure. We managed to avoid the worst of the green slimy walls although we had already resigned ourselves to sacrificing our fender socks to the trip. The lock-keeper had requested on our approach that he would like to see us in the office with our papers, but with anothr barge coming downstream and the end of the day approaching, he changed his mind and allowed us on our way. Our stopping place for the night was immediately upstream of the lock at the sleepy village of Poses. A single stretch of concrete quay serves as the halte nautique, free but with no facilities. Full marks to the Cruising Companion for his useful picture showing the mooring just upstream of the bankside restaurant, although the willow in the photograph is no longer there. We soon deduced that if you are to visit Poses, you should be sure to do it on a Sunday afternoon, when you can visit the fish observation room, the Museum de la Batellerie, and the Auberge du Halage, which overlooks the moorings.